You are using in-flight encryption in your fabric and you want to implement trunking. What is the maximum number of ports per trunk? Refer to the Exhibit. You need to prevent the addition of a new switch to the fabric as shown in the exhibit. What will achieve this? 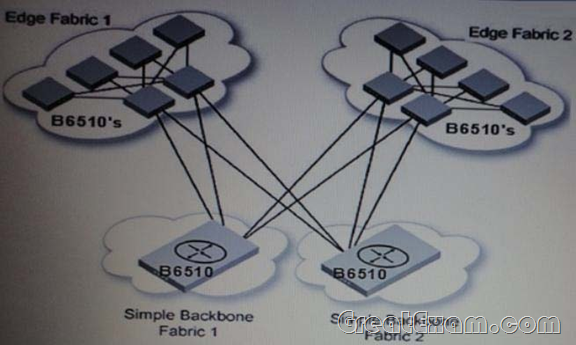 Which feature is used when connecting Brocade 6510 in Access mode to different fabrics while maintaining device-to-fabric consistency? You notice that some N_Ports on a Brocade 6510 in Access Gateway mode are heavily used while others are not. You want to balance the utilization. Which feature enhances performance for the N_Ports?